On a team, there are many moving parts that need to mesh well in order for the team to succeed. It's not one person that makes or breaks a team, but the collective spirit and drive of its members, such as Jenna Ravenscraft. I reached out to her for this article series, as I wanted to get to know more about her. She is one of the newest state directors of BEASTS OCR, one of their pro team members and is a loyal friend and fierce competitor. Jenna has only been involved in OCR for about 3 years and is going after some pretty large goals, proving it is never too late to set scary goals for yourself. I’m 38 and this is my third year OCR racing. I have been teaching and coaching in public education for the past 12 years and just moved into an Athletic Director role. Did you always consider yourself athletic? Yes, I grew up in a small town and I was the youngest kid. My dad was athletic and coached my brothers and my sports. So, I have been playing or running around since I was little. What was your first race like? Which one was it? Well, my first race came about because I ran in a local 5K in my hometown where most of the people if not all of them were doing it for fun and I was coming in for the win. 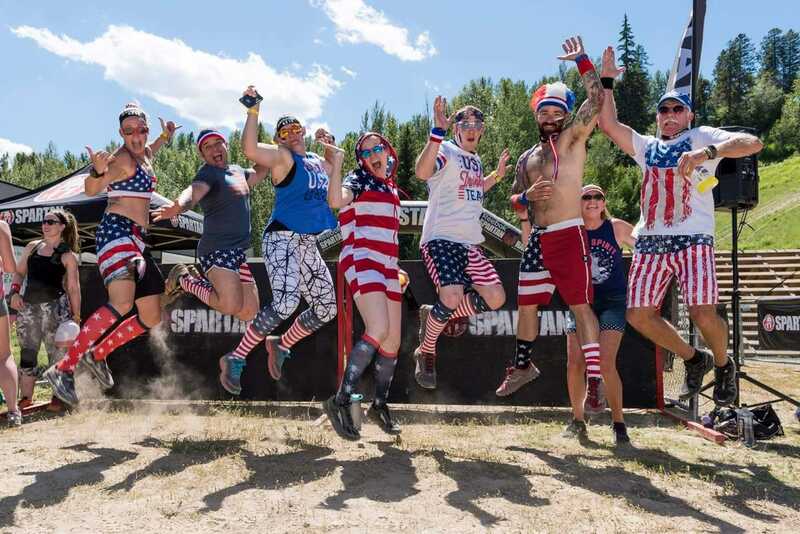 One of my friends said to do the 10k or the half marathon – I never wanted to run for longer than 30 minutes so I made some off comment about boring running and the next thing I knew we were all signing up for the Boise Spartan. Which is my home venue – like 10 minutes from my house. I did it with a group – we had no clue what to expect but I was in love with racing within the first 5 minutes. Tell us about the races you have done so far. The first year I did the Boise Sprint and the Seattle Super that was 2015. In 2016 I double trifecta with Tahoe world championship course. Last year I tripled but one of those was an Endurance with the ultra, HH12, HH and this is the year I became a part of Beasts OCR. Being a part of this amazing team or really family has been life-changing. Then this year, I have been the Kimberley for the trifecta weekend – but tried the ultra-instead of the beast. Lots of sprints this year a few of the national series races, the dirty leprechaun, and a terrain race. I have 3 races left on the racing schedule – Tahoe ultra, Dallas Ultra, and Sacramento Super which will finish my dad’s first trifecta a couple days before he turns 70! What initially drew you into the world of OCR? The fact that the running part I could do but just got bored doing. I really needed a way to switch my focus and obstacles or terrains etc shifted that focus I needed to shift. If you could design your own obstacle on a course, what would it be? It wouldn’t have anything to do with balance, but if money wasn’t an issue to build it something enclosed like a mini maze that you had to solve a puzzle to pass through it. Bad backup but if it was big enough then the code you entered could send you multiple ways. 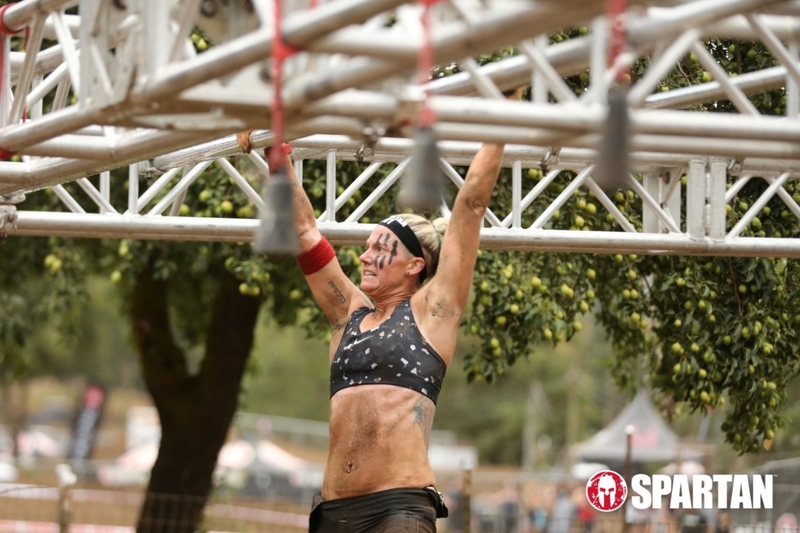 Do you find that mental grit or physical strength is more important in an OCR? What is your reason behind that choice? When on an OCR course, who inspires you personally? My dad – he started doing races during my second year. We did the Portland sprint with my brother. Shortly after he had a checkup for his heart and ended up needing a valve replacement which had 2 months later. He came back the next year and raced a couple more sprints with me. This year we got him a trifecta pass. People out on the course hear his story and people I meet at expos and races when he isn’t there get to hear his story – most people then say they have no excuse. He has a full OCR gym set up in his shop now. He is racing age group in Sacramento and he is coming for the 50-year-olds. What type of training do you complete for OCR training? What is one unique nutrition trip you would like to share? For someone that is newer to the OCR sport, what is one solid piece of advice that you wish to pass on? What is one piece of gear that you take with you on the course at every race? Garmin tracker. I have had three different kinds – currently Fenix 5 and loving it. It has a beer tracker! What are your goals for the remainder of this race season? Where can someone reach out to you on social media? Charity Fick is a distance runner who currently resides in beautiful Surrey BC Canada with her husband and partner in Mud Ryan, and her daughter Sierra and step daughters Brandi and Samantha.Although running was and still is her first passion, she is an avid OCR enthusiast. Charity has participated in a number of different road / trail and family oriented runs and OCRS within the past few years and is always up for a new challenge. She has successfully completed multiple runs ranging in distance from the fast 5km up to the 42 km marathon distance. 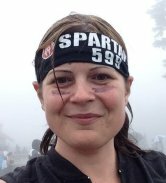 Charity Fick is an active participant in the online running and OCR communities, and continues to write articles, race reviews, and human interest pieces exclusively for Mud Run Guide.com. She is currently a member of several communities including the Mud Run Crew, the Canadian Mudd Queens, her local OCR training group – VanCity OCR, and runs frequently with the We Run Surrey Crew. Charity is also passionate about talking to others within the OCR community and sharing their stories.Her interest in OCR was born after reading Brett Stewart’s book – Ultimate Obstacle Race Training, and after completing her first solo Spartan race, she was hooked.In her spare time, Charity enjoys writing, blogging, digital photography, running, working out and Obstacle Course racing. As a proud wife and mother, it is her hopes that others will hear her stores about the mud, barbed wire, friendships, bruises and fire and be inspired to make a change in their lives by trying something new. You can often hear Charity on course laughing, and making jokes about how much she loves getting dirty and how OCR is good for the Soul.